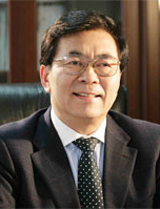 Prof. BAI Chunli, a chemist and an expert in nanoscience, is President of the Chinese Academy of Sciences (CAS), and Chairman of the Presidium of the Academic Divisions of CAS. He is also President of The World Academy of Sciences for the advancement of science in developing countries (TWAS), the Honorary President of the University of Science and Technology of China (USTC), and the Honorary President of the University of Chinese Academy of Sciences (UCAS). 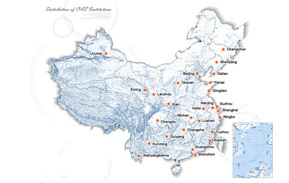 Prof. BAI graduated from the Department of Chemistry, Peking University in 1978 and received his M.Sc. and Ph.D. degrees from CAS Institute of Chemistry in 1981 and 1985, respectively. From 1985 to 1987, he worked at California Institute of Technology in US as a visiting scholar. After coming back to China in 1987, he continued his research at CAS Institute of Chemistry. From 1991 to 1992, he worked as a visiting professor at Tohoku University in Japan. In 1996, he was appointed as Vice President of CAS ; in 2004, he was appointed as Executive Vice President of CAS (full ministerial level). Prof. BAI’s research areas include organic molecular crystal structure, EXAFS, molecular nanostructure, and scanning tunneling microscopy. He has been elected member or foreign member of world-known academies of sciences or engineering in approximately 20 countries and territories, including CAS, TWAS, National Academy of Sciences of US, the American Academy of Arts and Sciences, the Royal Society of UK, the European Academy of Sciences, and the Russian Academy of Sciences. He also serves as the Honorary President of the Chinese Society of Micro-Nano Technology, the Chief Scientist for the National Steering Committee for Nanoscience and Technology, Vice Chairman of Academic Degrees Committee of the State Council, Vice Chairman of the National Committee for Science & Technology Awards, member of the Central Leading Group for Education, and member of the National Leading Group for Science and Technology. Moreover, he is the Editor-in-Chief of National Science Review and Nanoscale.